﻿﻿Thisbe Locke did not come home last night. Every day, 60,000 cars cross between San Diego and Coronado Island. Once or twice a month, on average, one of these cars stops and the driver gets out, intending to leap over the rail. Many jumpers, especially the ones who might be deterred, don’t have a logical plan. They might have thought about what they’re doing for a day, a few hours, or five minutes. Before Thisbe Locke stole Clay Moorehead's car in the middle of a summer night and parked it at the top of the bridge, she hadn’t thought about it at all. "An evocative tale of regret and redemption." "Expert pacing will keep readers turning the pages until they know Thisbe's fate." "McNeal writes with a mature hand, expert pacing, and an immediacy that ensures readers will be engrossed." "Integrates mystery and suspense into a believable, highly developed storyline. " 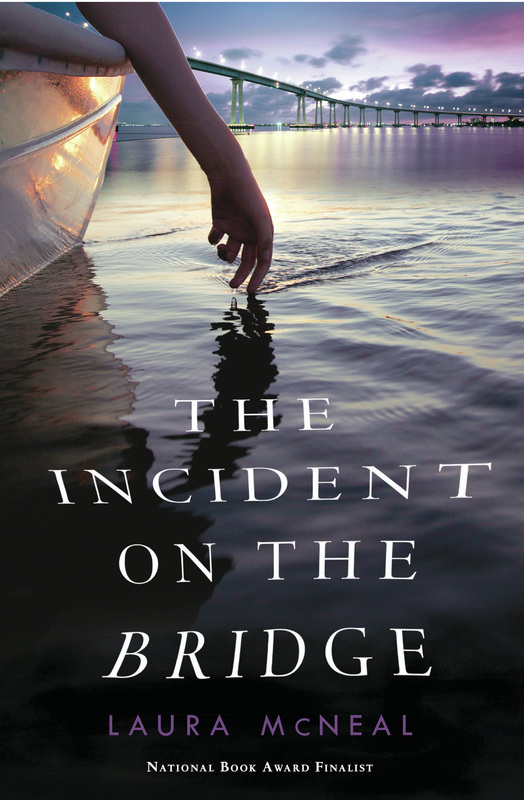 "The Incident on the Bridge is an exciting, enthralling, un-put-downable book, full of wit, vitality, and suspense, with lovely sympathy for all its characters, even the villains, and with Laura McNeal's terrific memory for what it is like to be a teenager." "Laura McNeal refuses to write characters as all good or all bad; instead, they are all so beautifully human. That extraordinary empathy shines through her prose making this thriller a literary masterpiece unlike anything I've ever read—on the YA shelf, or elsewhere."